In difficult economic times, companies may be tempted to opt for cheap office refits, furniture and storage solutions. However, this can prove to be false economy when budget furniture fails to stand the test of time, looks old and tired or simply breaks and demands replacement. Here we talk to two senior figures from leading office-furnishing specialists InteriorsTeam and law firm Freeths – who have enlisted InteriorTeam’s services – about how, if businesses invest in built-to-last quality, they can save money in the long run. Many companies’ post-recession financial plans involve spending as little as possible on office furniture as an immediate way to reduce overheads. “Rather than making short-term savings on cheaper furniture with shorter warranties of, say, 6 to 12 months, InteriorsTeam recommends that companies elect instead to make long-term savings with our range of high-quality furniture that offers warranties of 10 years. One company who has opted to invest in quality office furnishings is Freeths. Freeths are the 69th largest law firm in the UK, with a team of 685 operating from offices nationwide. Freeths have had a relationship with OfficeTeam for over 25 years for services including stationery and storage solutions. “We were actually looking into using a different firm when Tim, our Account Manager at InteriorsTeam, suggested we discuss our refurbishment needs with them and put together some proposals. They presented three different pilot schemes for us to review, we were very impressed with these and decided to move forward with InteriorsTeam rather than the rival firm. “What we find is that unfortunately cheap furniture really does have a habit of breaking easily and this can lead to staff absence and, in the worst case, legal cases. “In our post-recession climate, it is often tempting to opt for budget solutions. However, at Freeths we believe that investing in quality across the entire business model is crucial to success and good office furniture is part of this. Indeed, investing in quality has the potential to convey powerful messages to your workforce. Particularly in office environments, where workers will typically spend 1,800 hours a year sitting in the chair you provide for them – the quality of this chair really can make a difference to how they feel about your company. 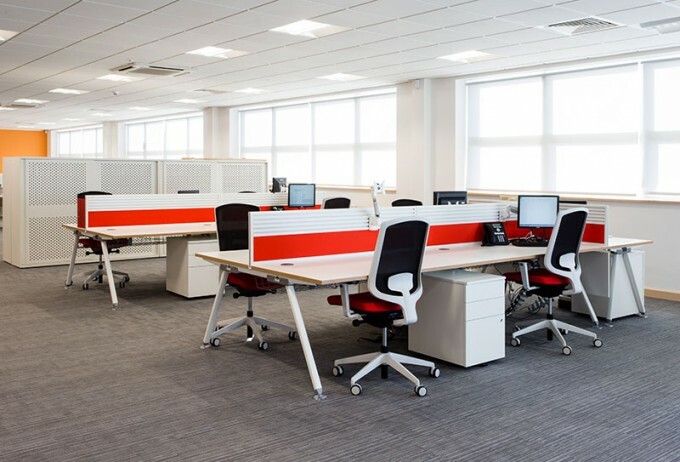 InteriorsTeam have helped many different companies with incorporating quality office furnishings into their financial plans, allowing them to convey their brand message both internally and externally while also saving money in the long run. For examples, you can read our case studies. You can also register here and our expert team will be in touch about the perfect furniture solution for you.